Somehow, old statistics with limited applicability have given birth to the widespread myth that 8 out of 10 businesses will fail. To judge from the hysteria, you'd think that starting a business is akin to wrestling with an angry bear that wants to chew up all your money for no discernible reason. The specter of ruinous failure has helped to frighten and discourage nearly a generation of would-be entrepreneurs. In truth, that menacing specter is largely an insubstantial ghost. A notorious 2002 piece from Bloomberg apparently helped spark this highly misleading internet meme about the small business failure rate. As with so many other popular delusions, the underlying reality is considerably more complex and encouraging. The 80-percent-failure meme probably stems from a National Restaurant Association report that 80 percent of independently operated restaurants fall by the wayside within two years. The intensely competitive restaurant industry is notorious for quickly destroying unprepared newcomers. This narrow statistic isn't a reasonable benchmark for innovative technology startups with strong engineering concepts, inventive retailers with popular products, experienced food-industry entrants with mainstream culinary offerings and a host of other thoughtfully planned ventures. The Small Business Administration (SBA) says that on average, a mere 20 percent of all small businesses will disappear after their first year of operation, which is markedly more encouraging than the popular idea that 80 percent of startups will soon implode into disaster. In fact, the Small Business Administration reports that nearly half of all businesses are still chugging along after five years of operation. Furthermore, fully a third of eager startup firms are still greeting customers with a smile after ten years. Have you ever played an organized sport like baseball or soccer? Some players show up with a half-baked attitude that begs to get their butts kicked. Other players show up with determined attitudes and extensive practice under their belts. They've got the right attitude. They'll succeed at a much higher rate than sloppy, uncaring players. Starting a business is no different. Some industries see a significantly smaller percentage of small businesses that fail. As we've seen, restaurants have a hard row to hoe. Fashion is another tough industry. Industrial suppliers for automobile manufacturers tend on the other hand to target enduring needs. High-technology firms may or may not understand their specialized consumer markets. The details matter. Much also depends on the individual entrepreneur. An aptitude for planning ahead and the willingness to work hard count for a lot. Fact or Fiction: Starting a #business is like wrestling an angry bear? Many serial entrepreneurs prefer to keep moving on to apply their well-honed business instincts to pushing other promising ideas into commercial success. They'll frequently sell off their previous ventures to larger commercial concerns, which then completely absorb the original ventures into their own corporate operations. Other entrepreneurs strategically abandon small starting failures in favor of bigger successes with superior execution, often carrying along valued employees and other assets from their initial efforts. A struggling small business might decide to merge with another small company to form a stronger, more competitive firm, creating the misleading impression that one of them has simply disappeared. Every year, a significant number of business owners sell their commercial assets to another concern before retiring into richly deserved peace and quiet. 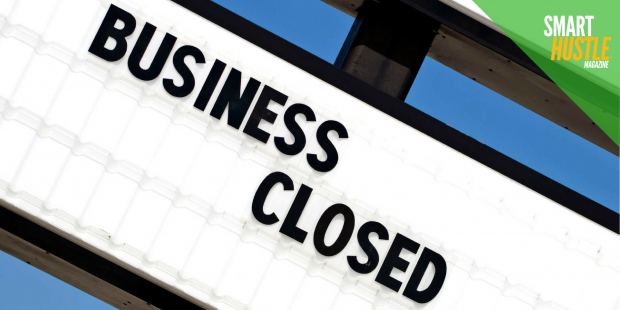 A supposed small-business closure often only means moving on to greener pastures or the peace and quiet of a paid-off home mortgage. After studying the dirty details of hundreds of failed businesses, it's hard to avoid the conclusion that success rests almost exclusively on founders' financial planning, market awareness, product development and comprehension of consumer needs. An unprepared business person is headed for trouble before serving a single customer, but a winning entrepreneur can develop almost any good commercial idea into ongoing profitability. If you're genuinely ready to play the game, then you're already halfway to building a strong business that will last for decades. Not preparing a detailed business plan, failing to define a clear market niche, neglecting product or services development and other basic failures undoubtedly account for the great majority of collapsing companies. Bad management practices and poor control of cash outlays have also wracked innumerable startup firms. You can avoid all of these mistakes with a little forethought. Failing to plan is planning to fail. Operating a successful business means maintaining your critical cash flow. If you run out of cash on hand, you can't pay your employees and suppliers. The IRS in particular has a dim view of failing to keep up with payroll taxes.Politely but firmly pressing customers to pay their bills within no more than 30 days often works, and offering discounts for paying within 10 or 15 days can be a highly effective tactic for ensuring ample cash flow for growth. Setting up a bonus system to reward employees who find ways to cut costs without affecting the quality of your company's offerings is a great move for many small companies.Furthermore, don't spend money unnecessarily. Overspending on poorly defined future needs is a bad habit that's easy to break with minimal self-discipline. Ask your employees to help you conserve limited resources by controlling power consumption, reusing supplies and taking other obvious measures. Plenty of useful ideas exist for protecting your all-important cash flow. Asking mentors and business associates for their suggestions can be very helpful. Learning from the success stories or cautionary tales of other entrepreneurs in your chosen market niche is an amazingly effective and inexpensive way to avoid making other people's mistakes on top of your own mistakes. You can instantly leap ahead of the great majority of your competitors simply by adopting the most efficient marketing tactics and business processes of the leading commercial outfits in your own industry. You'd be surprised at how few people bother to do this sort of basic research into obvious and hidden competitive advantages. It's a truism that listening to your customers is the golden path to success. Responding quickly to grumbles and recurring problems with immediate solutions can bring dissatisfied customers back into the fold, and developing a reputation for respecting the concerns and needs of your customers builds goodwill and attracts positive word of mouth on popular social media networks such as Facebook, LinkedIn and others. Concepts like minimum viable product and guerilla marketing can help rocket your startup venture into a commanding lead over other firms with less nimble founders. Rapid-fire marketing experiments and quick updates of product features can help avoid the risk of losing precious time and money to unsuccessful approaches. While you naturally want your customers to be fully satisfied with the quality of your goods and services, perfection is the enemy of the good. Do the best you can for now, and keep striving for ever higher goals of excellence. You might be surprised by how effective a relentlessly positive mood is at boosting the morale of your employees and kicking your company into sustained success. You're the leader of your company, and your staffers look to you for inspiration and direction. "Yes, I can," is not just a slogan. Try saying it to yourself in the mirror every morning! The world awaits your great business idea and your thoughtful execution of that idea. Go forth, and be successful!